This document describes how to fix the guest support for some Linux distributions, like Fedora 8, in VMware Server 1.04. 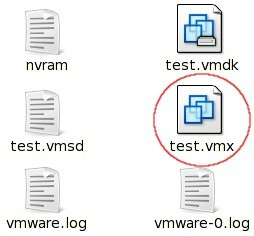 Stop the virtual machine and open its .vmx-file. 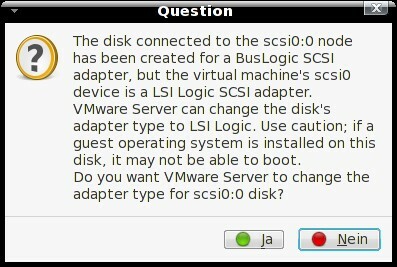 Click on "Yes". Afterwards the virtual machine will run properly.